I recently had dinner with Mari, who is one half of the hardest working couple in Lapland. She came over to the UK specifically to show us her plans for their new project; Nangu! 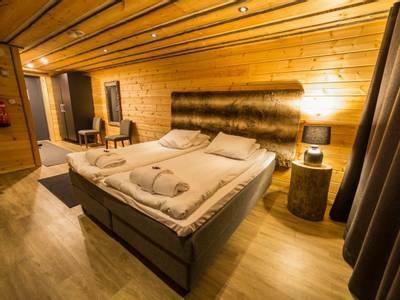 I’ve known that Mari and her husband Jouko have been desperate to build their boutique hotel in this particular spot for many a year and, what can I say, they’ve achieved their dream and the result is just wonderful. We are thrilled that our guests will get to experience Nangu and there is no better time to do so than over Christmas. 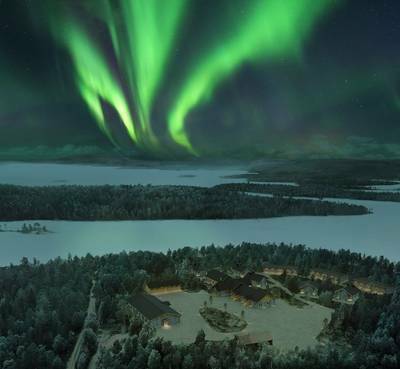 This 4-night stay close to Lake Inari combines excellent child-free accommodation, unforgettable winter activities and historically, a superb Aurora record. 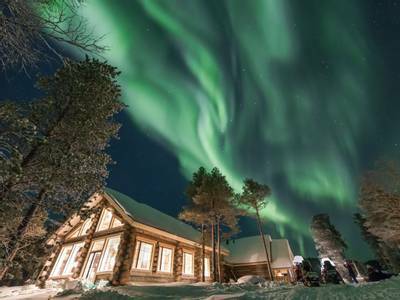 Wilderness Hotel Nangu is an ideal location for you to have a Northern Lights Christmas holiday to remember. 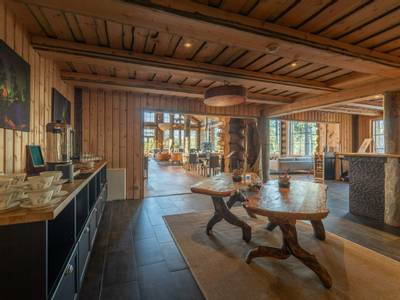 Nangu is everything you ever imagined a secluded winter retreat to be. 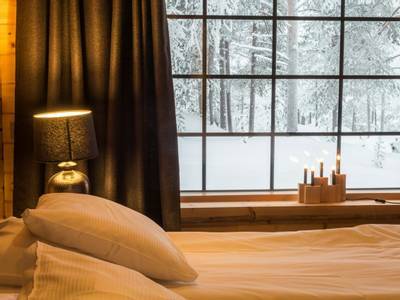 The lakeside setting and the snowy forest that surround it are quintessential Lapland. To simply stand outside and listen to the silence of nature is a rare treat these days. 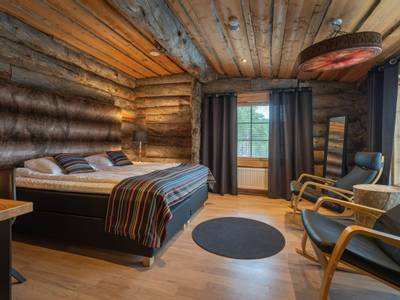 When you travel north of the Arctic Circle there was previously a distinct lack of more boutique style accommodation. 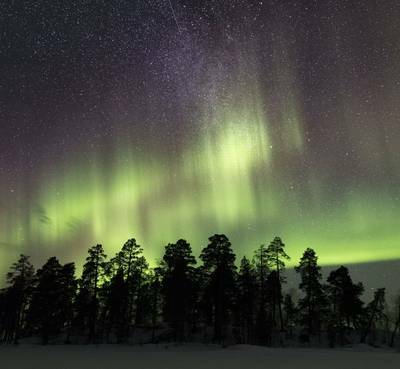 This is particularly the case when you leave the more populated areas and go in search of the dark skies required to see the Aurora Borealis in its full glory. 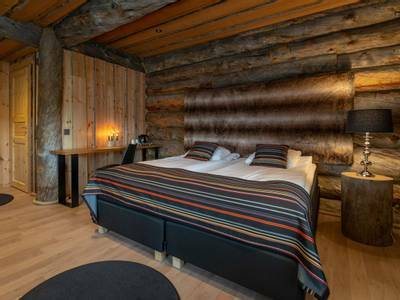 Happily, that has now changed with the welcome addition of Hotel Nangu on the southern shore of Finland’s third largest lake. 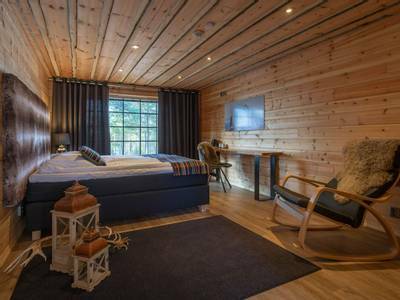 This small, adults-only boutique hotel is the brainchild of Jouko and Mari Lappalainen who have revolutionized the accommodation sector in this part of Finland. 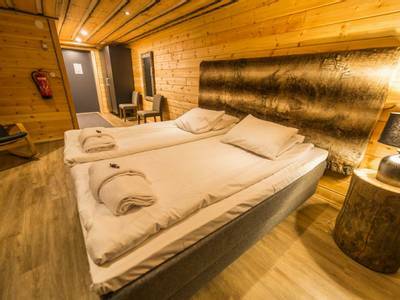 With the emphasis being very much on traditional design and the Aurora, they have created a real gem here at Nangu. 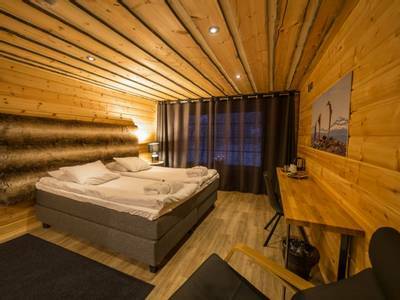 The secluded location is perfect for actively exploring by day, Aurora hunting by night and relaxing in comfort during the intervening hours. This holiday takes place over the Christmas period, but it is a far, far cry from the overcrowded “Santa Centrals” further south. 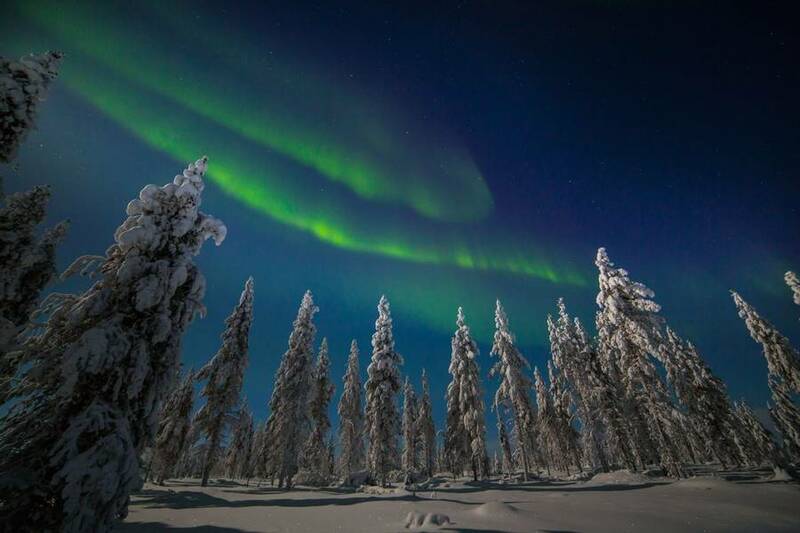 During your stay at Nangu, you will explore the winter landscapes during the day by snowmobile and dog sled. 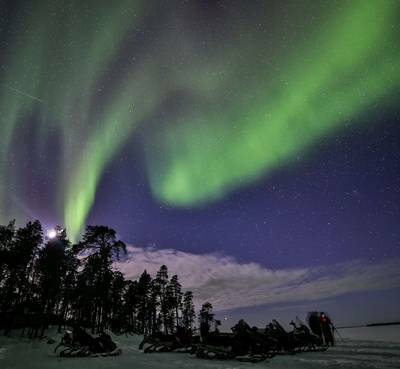 The evenings will be taken up with Aurora hunting. 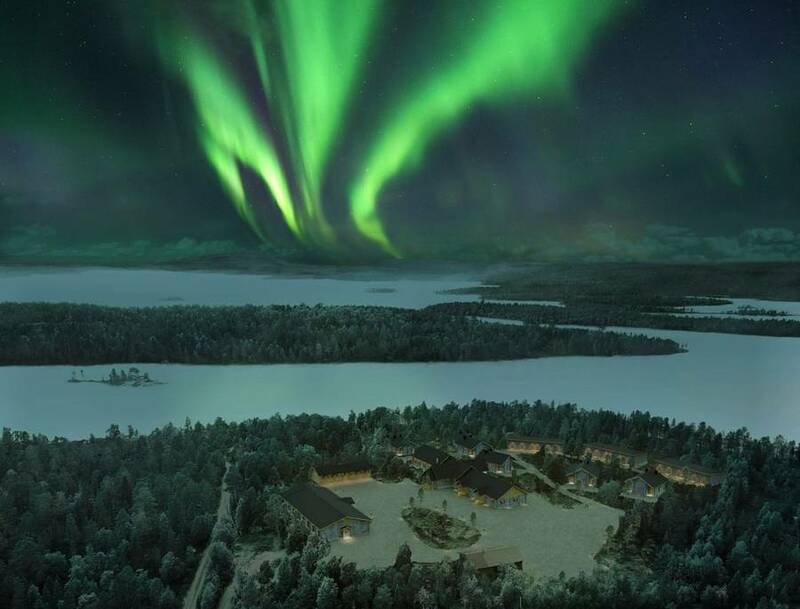 We have included two visits to Aurora camps on Lake Inari, both in prime locations for potential displays of the Aurora, as well as a Northern Lights Snowmobile trip. This really is tremendous viewing territory and our guides will be doing their absolute best to ensure that you experience one of Mother Nature’s greatest wonders in what is a truly spectacular setting. 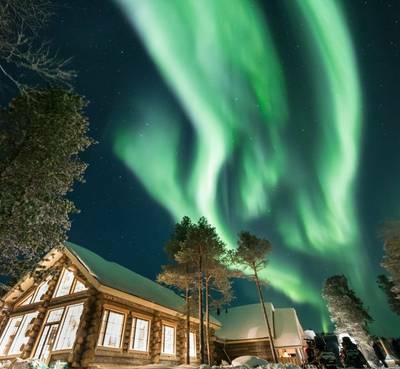 All your meals are included, as is your cold weather clothing and a wealth of exceptional activities such as dog sledding during the day and your Aurora hunts at night. The essence of it is that you really do not need to do a lot of thinking. All you need to do is relax and enjoy a fabulous Christmas. On arrival at Ivalo Airport, you will be welcomed by your driver and taken to the transfer vehicle. 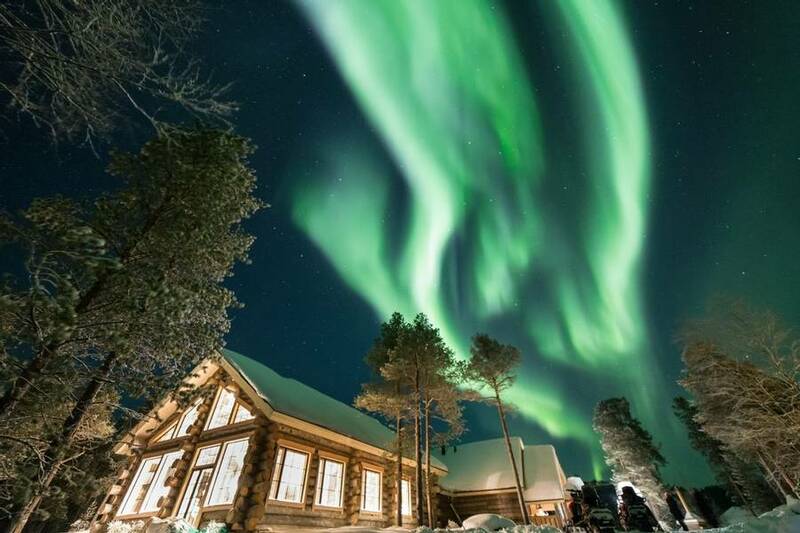 From here, you’ll head through town before heading northeast towards the Russian border and taking a small road north towards the shores of Lake Inari. Just as you think the driver is lost, you’ll arrive at Nangu where a warm welcome awaits. 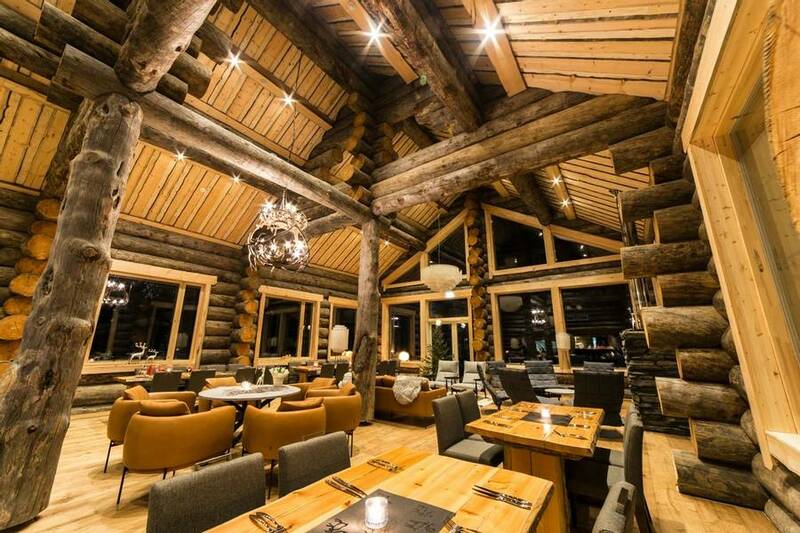 You’ll enjoy dinner in the restaurant and be fitted out with your cold weather clothing. 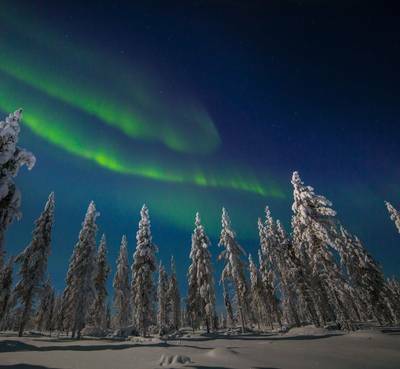 Following on from your meal, you will head out for your first Aurora stakeout. 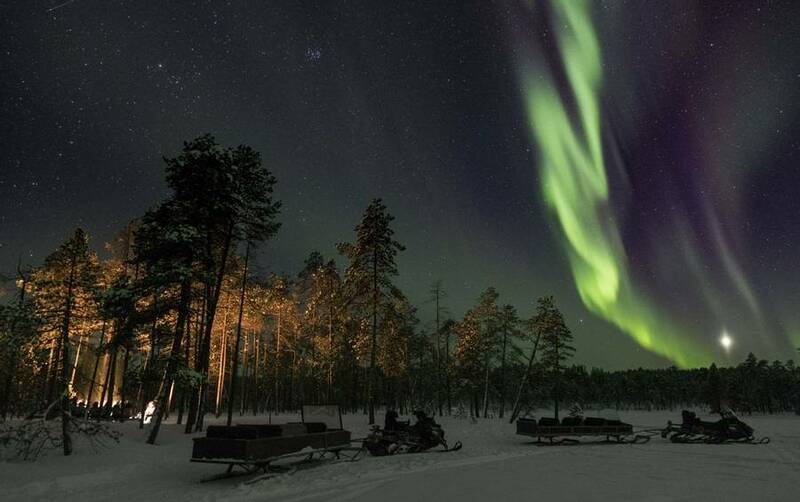 You’ll travel out to one of the many camps dotted around Lake Inari in a sled pulled by a snowmobile. 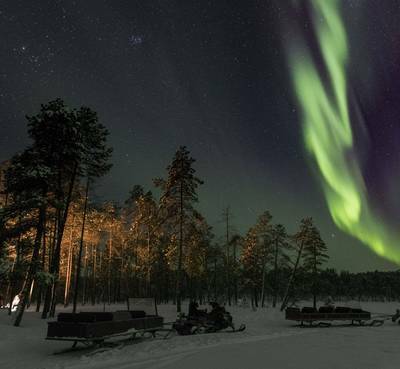 Once at the camp, your guide will get a fire on the go and there will be warm drinks to keep you warm while you wait for an Aurora display. You will be out for around two and a half hours. Today has been left free, so you may just want to take it easy but alternatively, you can look to arrange an additional activity locally. Lunch will be served at the hotel. 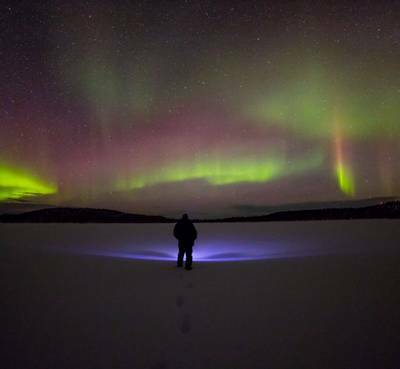 Following your evening meal, you will head out in search of the Aurora on snowmobiles. Prior to departure, you will be given full instruction on how to drive a snowmobile and a full safety briefing. Then, with your expert guide leading the way and your headlights illuminating the route, you will set off on your adventure. 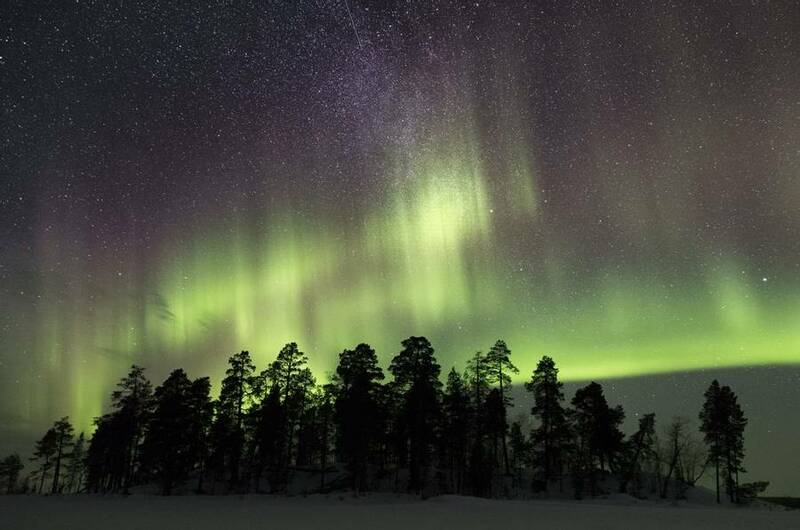 Your guide knows all the best spots from which to admire the Northern Lights and they will determine the route based on the weather conditions and Aurora forecast. With a little luck, your efforts will be rewarded with a display. 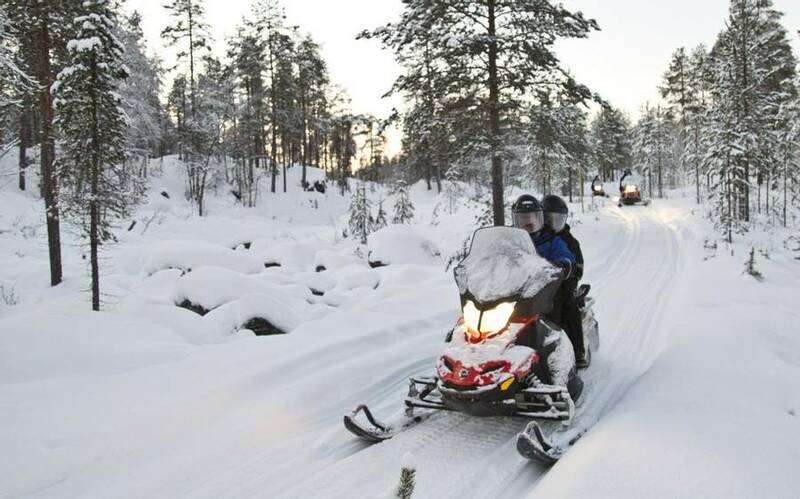 You must be over 18 and hold a full driving licence to drive a snowmobile in Finland. You will travel two people per machine and there will be the chance to swap drivers during this approximately two-and-a-half-hour experience. 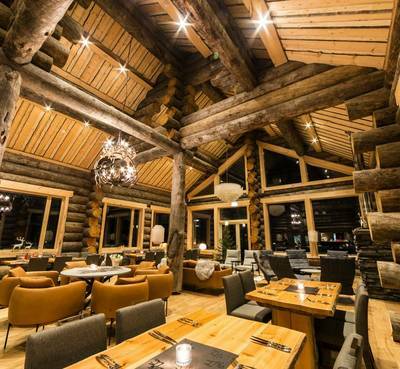 After breakfast, you will be transferred to Nellim which will take around forty to fifty minutes along the snowy roads that head towards the Russian Border. 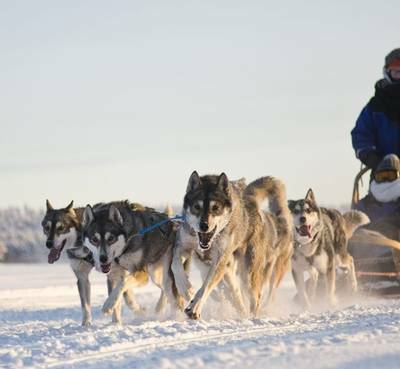 The dog sledding starts with a thorough briefing and you may have to listen closely because the excitable canines can conjure up quite a din. 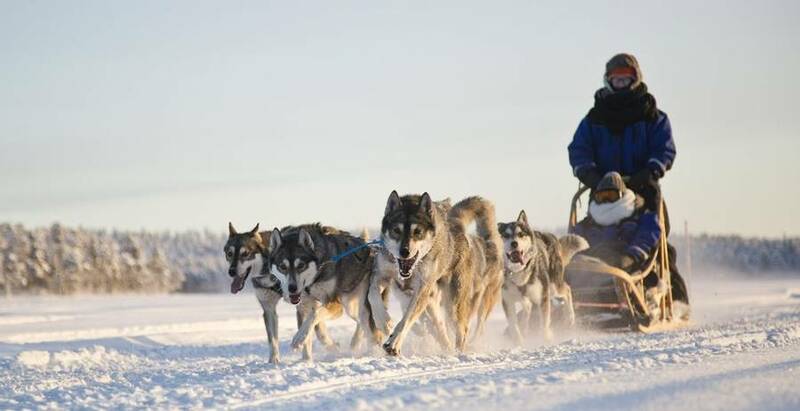 Before long, you’ll be off on the trail with one person driving the team and the other riding in the sled with opportunities to swap along the way. The landscapes here are simply stunning and as the dogs fall silent as they run, it’s a great time to drink in the vast expanses of winter wilderness. 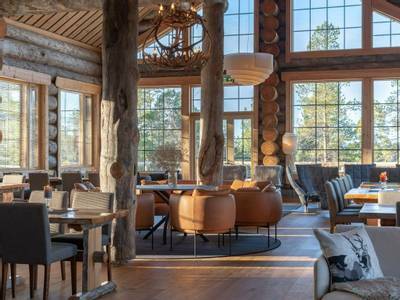 Upon return, you will enjoy lunch at Wilderness Hotel Nellim. 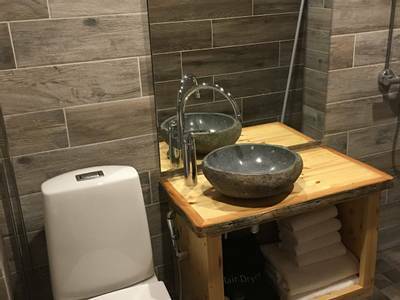 You’ll be out and about for around five hours today so make the most of your time back at Nangu, a little snooze before dinner will set you up nicely for tonight’s festivities. 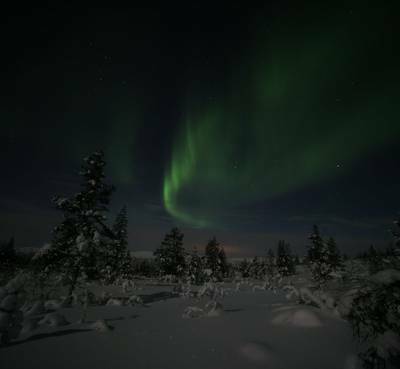 As today is Christmas Eve, a special Christmas Dinner will be served tonight, as the Finns celebrate the festive season on the 24th December. 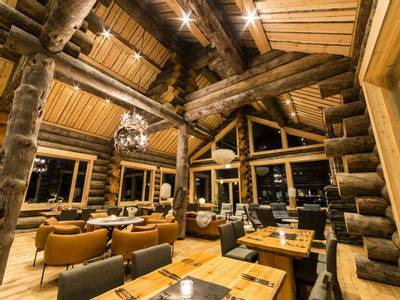 Everyone will enjoy a buffet meal which includes some Finnish delicacies and traditions. 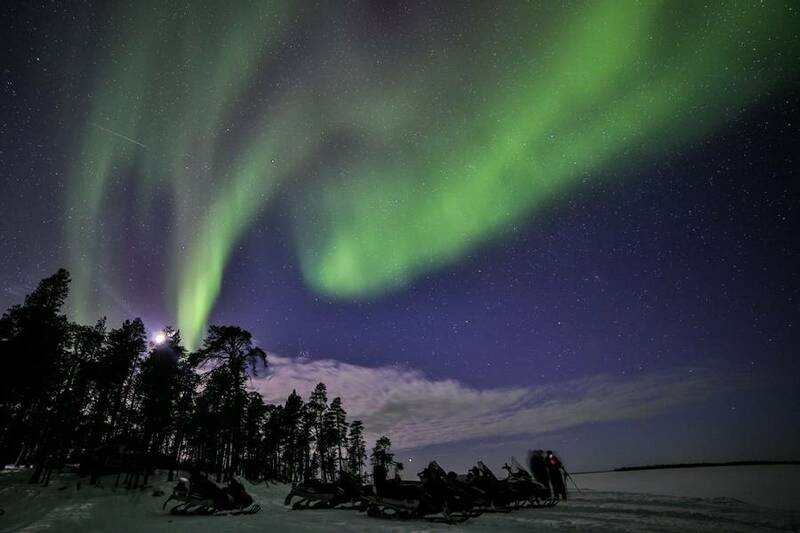 You will be back on the snowmobiles this morning for a safari on the vast expanses of Lake Inari. It really is the best way to cover ground in the region and you will get a chance to witness the scale of Finland’s third largest lake. During your safari you will stop for a campfire lunch out in the wilds. 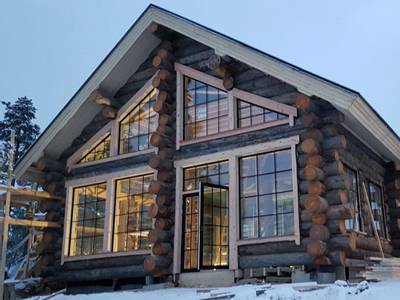 Full instruction will once again be provided before departure and you will travel two people per snowmobile (with the chance to switch drivers). 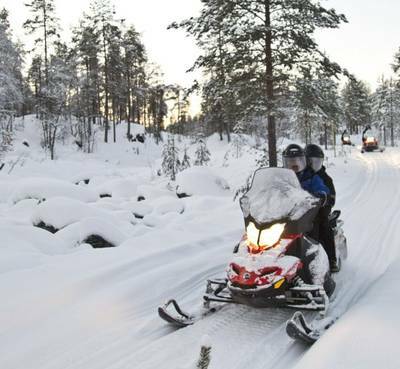 You must be over 18 and hold a full driving licence to drive a snowmobile in Finland. Your adventure will last around four hours including lunch. 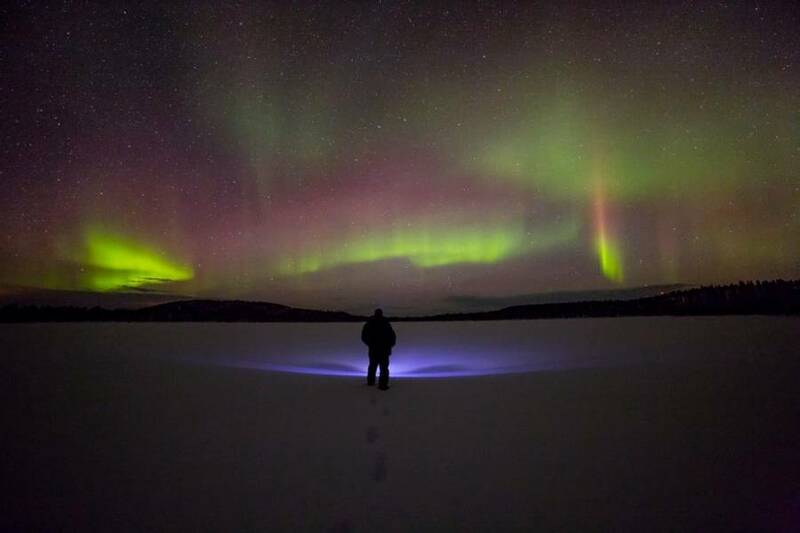 After dinner, you’ll head back out to Lake Inari where your guide will take you to another of the frozen lake’s excellent north facing vantage points. There is virtually no light pollution here and looking across the ice, pretty much all you can see is the silhouette of trees on the far shoreline and a pitch-black sky. 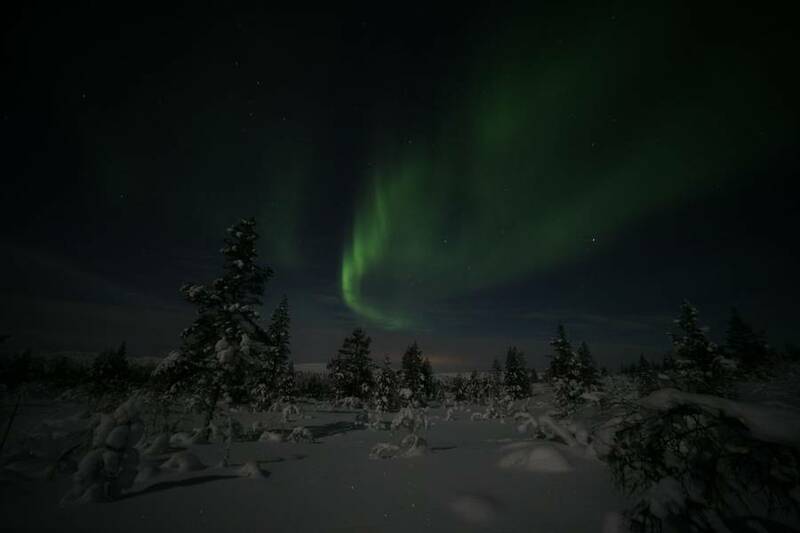 On a cloudless night, this really is perfect Aurora viewing territory. Sadly, it's time to head home and your transfers will get you to the airport in good time for your return flight. A packed breakfast will be provided. We loved this holiday- in fact, it was probably in my top 3 of all time. The dog sledding was brilliant - just amazing but we also loved the snowshoeing. Everyone was delightful. The guides were first class and made all the outings such fun. Jocco ( spelling may be wrong ) was just great. The hotel staff were lovely and the food was really good. 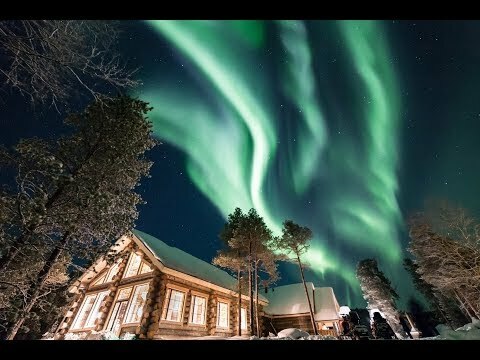 Really enjoyed searching for the northern lights, enjoyed the time on the Fells, dog sledding was a fun experience, small group experience was welcomed. Matt was extremely helpful with all questions, generous with his time to teach the group planetary patterns in the sky above us, helped everyone how to better take photos of the night sky.